Rachel: You discuss how miscarriage is never God's punishment of our personal sin, because of our standing in Christ. While I am 100% in agreement here, I couldn't help but think of David and Bathsheba's infant dying as a result of their sin. How do you understand this story within your theological framework? 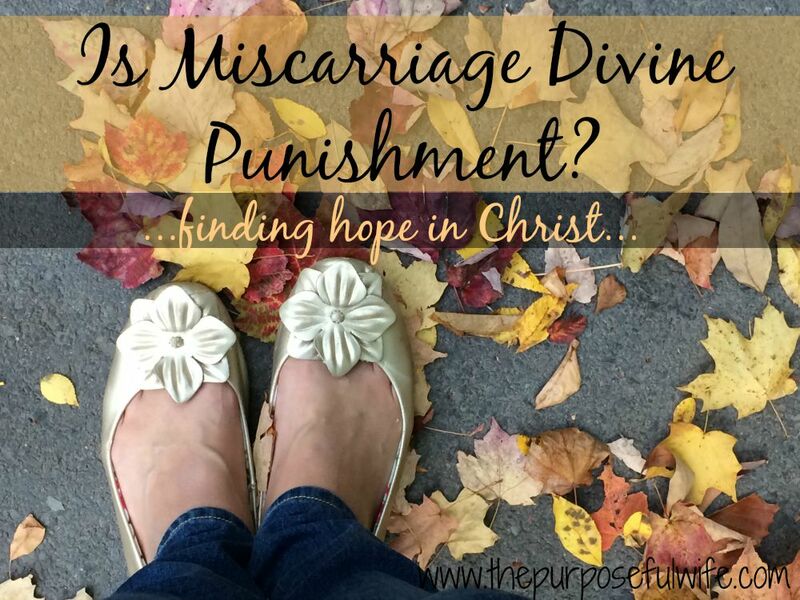 How could we give Gospel hope to a woman who brings it up in concern that her miscarriage was divine punishment? 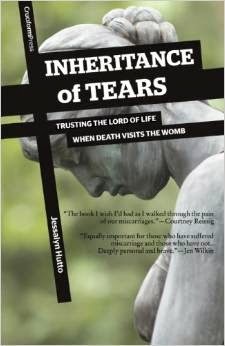 Jessalyn: My purpose in including the section you are referring to in my book was to combat our natural tendency to see miscarriage as divine punishment. When something so horrifying and so personal occurs in our lives, our minds quickly begin to wonder if we are to blame. 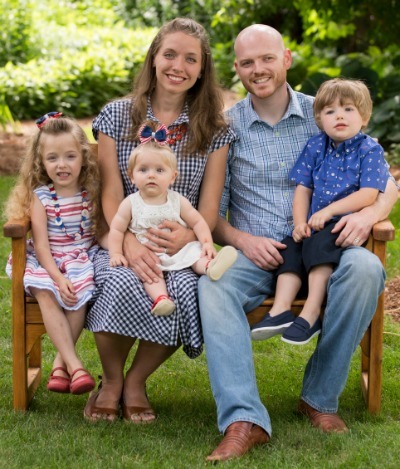 We assume that because God allowed us to miscarry, he must be displeased with us in some way or that if we had just been better Christians, he would have blessed us with a healthy pregnancy. But this is completely anti-gospel. Our God is not a cosmic vending machine. Being "good" does not ensure blessing, and struggling with sin does not necessarily equate with greater trials in this life. In fact, if we have been forgiven in Christ, then all of God's wrath for us- for every sin we have ever committed and will ever commit- was swallowed up on the cross. There is no wrath left for us because it has all been spent on Jesus! As Christians, we are in Christ, and therefore clothed in his perfect holiness. This is the beauty of the gospel and why we needn't fear that the Lord will punish us each time we fail to live up to his holy standards. Jesus lived up to them for us! Now, this does not mean that God does not see our sin and that it does not grieve him. 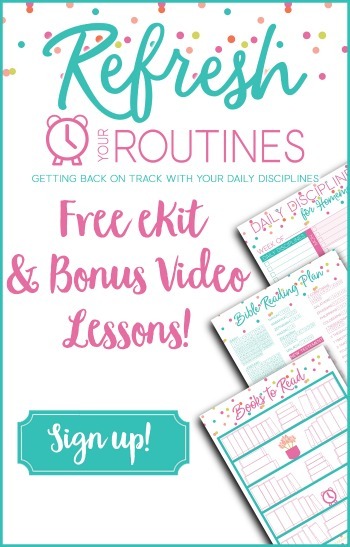 As a father, our loving God does discipline us for our good. The Bible says that he would not be a good father if he did not. He desires for us to grow in godliness and to experience more of his love. He does not intend for us to live in unrepentant sin, which only makes us callous to his marvelous affections for us. But it is important to note that he views us as his children, whom he lovingly corrects when they falter, not as servants whom he lashes out at. In this way, it is certainly possible for God to use a miscarriage as a wake up call in a woman's life. Indeed, all trials that we face are used by his hand to refine us and draw us into greater godliness. This is exactly how the author of Hebrews explains the discipline of the Lord: as a sign of his love and attentiveness to us! Not as a sign of his anger and judgment. Therefore, I would make a strong distinction between punishment for sin and God's kind discipline. 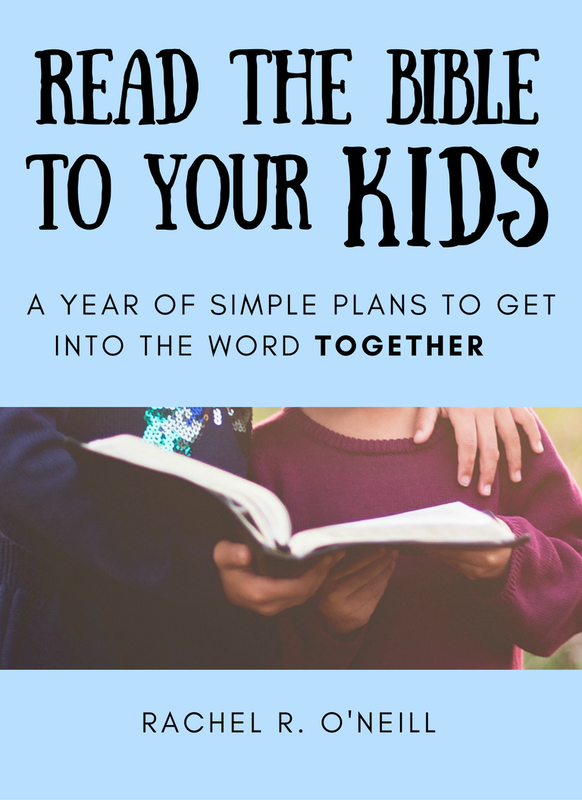 In regard to David's sin and the discipline he received, I would say that we must be careful in drawing direct parallels in our own lives or in the lives of others to David's life. David was the king of the nation of Israel- a type of Christ in the Old Testament- and God had very specific and important purposes for his life. Equally as important is the fact that God spoke directly to the prophet Nathan, shedding light on the sin that David had committed and pinpointing the discipline he would receive. We don't have that same access to God's mind. The Lord doesn't tell us why he allows certain things to happen in our lives or in the lives of our friends. Therefore, it is unwise to immediately jump to a direct connection between a sin and a miscarriage (unless of course the particular sin was physically and obviously responsible for the miscarriage- for instance drug abuse). I would also add, that even in the example of David's punishment, God had his good (and not his destruction) at heart. It was for the purpose of David's repentance, that God took the child's life. That awful trial, which did bring about an intense sorrow over his sin and a genuine repentance, gave David a deeper understanding of his own depravity and God's incredible grace. It made him a better king and allowed him to minister to believers throughout the ages through the beautiful Psalms he wrote. All of this to say, if a woman were to come to me, concerned that God was punishing her for a particular sin through her miscarriage, I would first comfort her with the knowledge that God loves her with the same unconditional love that he has for his holy and perfect Son (John 17:26; Romans 8:39). He has not brought this miscarriage into her life to condemn her, but rather, to bring about greater Christ-likeness in her life (Romans 8:1, 28). Has he used this miscarriage to reveal sin in her heart that she was previously unaware of or unrepentant for? Then praise God! She should repent of it and seek the Lord's forgiveness, for he is ready and willing to show her grace. But I would be careful to explain that her repentance does not therefore secure a healthy pregnancy the next time she becomes pregnant. 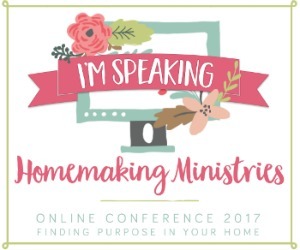 Her repentance is a sign of the gracious work of the Spirit in her heart, not a contract requiring God's subsequent blessing. Our Father's love and blessings are not dependent upon his children's obedience (they are only dependent upon the finished work of Christ)! She is God's child now, whom he loves with an unwavering and unselfish love. Therefore, she should not view her current miscarriage as a sign of his displeasure, but instead, she should look for the good he is desiring to do through it: whether that be to reveal unrepentant sin, to draw her into a greater dependence upon him, to build endurance and steadfastness of faith, or to bring about one of the many other spiritual blessings he has promised to his children. 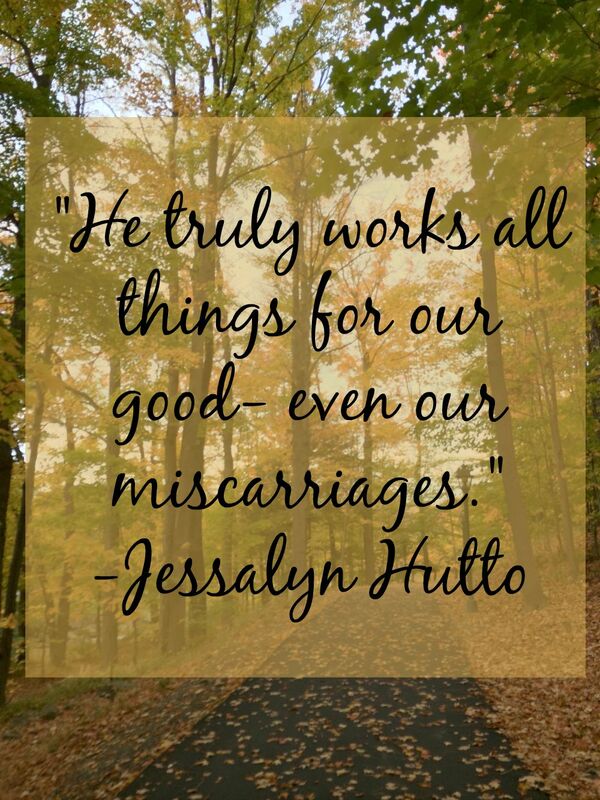 He truly works all things for our good- even our miscarriages.